Simply put, teacher clarity means an educator has absolute clarity about what students are to learn, know, and be able to do for an upcoming instructional focus before they plan any instruction and assessments. Today there’s a lot of fuzziness around learning outcomes. Teachers aren’t crystal clear about what they’re supposed to be teaching. Students often confuse what they’re learning with what they’re doing. They can tell you about the activities they’re engaged in, but not the intended learning those activities are designed to achieve. When teachers are certain about their learning intentions—what they want students to know and be able to do in a unit of study and in specific daily lessons—they can intentionally design assessments, plan instruction, and select appropriate curriculum materials directly aligned to those learning intentions. Teachers write the learning intentions in student-friendly language so students will be clear about what they are expected to learn. 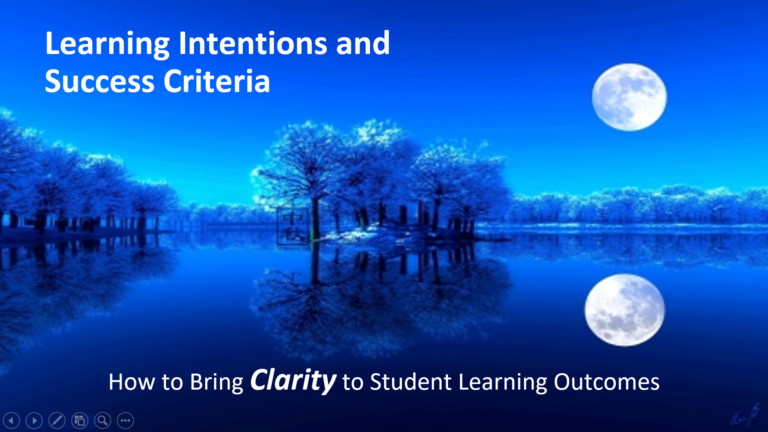 Success criteria—specific descriptors of how students will achieve the learning intentions—provide teachers and students with a detailed “roadmap to the destination” that focuses instruction and motivates students to engage in the learning. Learning progressions are the “building blocks” or instructional scaffolds that teachers pre-plan in order to help students achieve the learning intention. 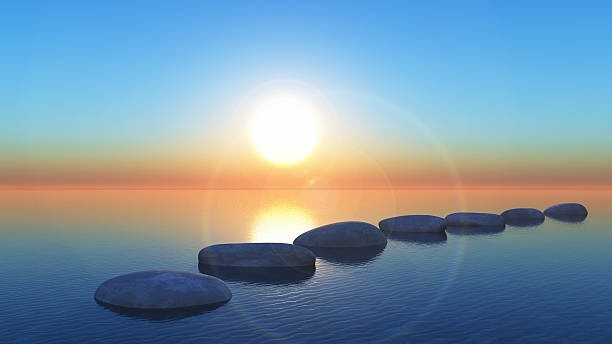 They are the pre-requisite skills and concepts that lay out the sequenced pathway of learning. The learning progressions provide clarity for the “Where to next?” element of teaching and learning. Corwin and I planned the one-day workshop to be a step-by-step, straightforward process that any teacher in any grade and content area could immediately apply in their own classroom. To keep the process simple, I designed six steps to apply to only one standard at first. Once teachers feel comfortable with the process, they can then apply it more easily to multiple standards for a unit of study. In each step, you will see how clarity is created for both teachers and students! Step 1: Identify one standard for an instructional focus within a unit of study. Step 2: Restate the standard in student-friendly wording—without losing the rigor. This is called the learning intention—the “what” that students are to learn. Translate the targeted standard into “kid-speak,” using age-appropriate language students will understand. But be careful not to lose the rigor or intent of the original standard when doing so. “Unwrapping” or deconstructing the standard will help you be clear on what it requires students to know and be able to do. Step 3: Decide why the learning intention is important—for students and teachers. Understanding why we want students to learn something is important to determine upfront. Sharing the why with students so they see the point or purpose of learning is critical to their engagement. Often called the Big Ideas, this step identifies the intended “take-aways”—for students and teachers. John Hattie describes success criteria as the “way of knowing that the desired learning has been achieved” (Visible Learning, 2009, p. 47). Success criteria, written first for the unit of study, are specific descriptors that spell out exactly what students need to show as evidence they have achieved the learning intention. Step 5: Break the learning intention into learning progressions—the skills and concepts that lead to the learning intention. Learning progressions are the smaller increments or “building blocks” of instruction that students will need in order to achieve the broader learning intention. Teachers brainstorm several verb phrases (skills followed by concepts) to show the progression of cognitive rigor from simple to complex. They then plan out a suggested order for teaching those progressions during the unit. Step 6: Select one learning progression and write the related success criteria. Then write the success criteria for another learning progression. The Step 4 success criteria are for the entire unit; Step 6 success criteria are for specific lessons. Teachers write them to match the learning progressions they will teach in daily lessons. In this way students will know exactly how to show they have achieved lesson goals. Clarity! With the clarity of learning intentions, learning progressions, and success criteria created for both the unit and the lessons, all that’s needed are short formative assessments—Quick Progress Checks matched to the learning progressions and lesson success criteria—to provide credible evidence of student learning. Teachers and students use the results from those quick progress checks to make immediate adjustments in their teaching and learning tactics, respectively. Which of the above six-plus-one steps are you currently utilizing to bring greater clarity to your own learning outcomes? How are you sharing these critical elements with your students? Where do you need to focus next? How can these steps help you “fill in the gaps” of where you want to go next to further impact student learning in your own classroom, school, and district? Larry Ainsworth is the author of Corwin’s workshop, “Teacher Clarity: Learning Intentions and Success Criteria,” Common Formative Assessments 2.0, Rigorous Curriculum Design, and four popular books on how to prioritize and “unwrap” the standards. You are welcome to browse his website at www.larryainsworth.com to learn more about the one-day Learning Intentions and Success Criteria workshop, along with his other “timeless practices to improve student achievement” introduced through short videos, book and workshop descriptions, blog posts, and free resources.